Dr. Herman Spangler of Easton, Pennsylvania was arrested in the summer of 1918 on two charges of abortion. One woman survived her ordeal, though her husband reported Spangler to the police. The other woman, 20-year-old silk worker Cecelia Dieber, was not so fortunate. She died on July 31 at Sacred Heart Hospital in Allentown 48 hours after being admitted. Fetal tissue had been left in her uterus and she had contracted tetanus from her injuries. Spangler, who had just been drafted and was about to be shipped out for induction, was arrested and brought to the hospital shortly before Cecelia's death. There, both she and her mother identified him as the man who had perpetrated Cecelia's abortion on July 20. Cecelia's lover had been drafted and sent to France in the Army, which might have contributed to her decision to abort the pregnancy. Spangler was also charged with practicing medicine without a license, though he claimed to be a graduate of the Metropolitan College of Chicago. Spangler pleaded guilty on all charges and was sentenced to serve ten years and six months in prison and faced a fine of $1,500. According to "When Abortion was Illegal (and Deadly): Seattle's Maternal Death Toll," Seattle Civil Rights & Labor History Project, Claudette Sayles, a 23-year-old Black woman was a student living in Seattle in 1960. Mae Etta Scott, age 22, admitted to assisting in preparations for an abortion to be perpetrated in Claudette's apartment. Claudette died of abortion complications on July 30. Police arrested Scott and she was charged with second-degree murder. The jury believed Scott's defense that nothing she had done had caused Claudette's death, so they acquitted her. The Project cites the August 10, August 19, and December 16, 1960 issues of the Seattle Times.and includes a clipping, "Murder Charge Filed in Death of Woman," from the August 10 Seattle Times which identifies Scott as a telephone operator and notes that a 20-year-old woman undergoing an abortion at the same time was being held as a material witness. On July 29, 1941, 34-year-old Agnes Pearson of White Plains, New York died at Grasslands Hospital in New York of peritonitis caused by complications from an abortion. Agnes left two children motherless. Dr. Nathan Schwartz, age 55, and Dr. Samuel Schwartz (not related), age 68, were charged with manslaughter in Agnes' death. The Grand Jury heard evidence from Agnes' husband, four hospital doctors, three nurses, state police, and a laboratory worker. For reasons I have been unable to determine, charges were dismissed in 1946. On July 29, 1949, on the basis of a third-party referral, Dorothy Martin, who I believe was 23 years old, went to the Georgia home of P.D. Beigun for an abortion. Beigun was not a physician or qualified to practice medicine. Dorothy, with the assistance of a man named Virgil Echols, had vistied Beigun a few days earlier to make the arrangements. Beigun took Dorothy into a bedroom while Echols waited in the living room. About 15 or 20 minutes later, Echols heard a sound described as a "slump," and Beigun called for him to come and help. Beigun went into the other room and found Beigun supporting an unconscious Dorothy by the waist. Dorothy made a gurgling sound. Echols helped Beigun lay Dorothy on the bedr. Echols tried to revive Dorothy, and asked Beigun what happened. Beigun indicated that he'd packed Dorothy's uterus with gauze. The men summoned police and an ambulance. While they waited, Beigun instructed Echols on what story they were to tell. They were to say that they'd been sitting in the living room with Dorothy when she'd felt faint. Then, they'd say, Dorothy fainted and they moved her to the bed. When the police arrived, Dorothy was dead. The next day the toxicologist and a physician performed an autopsy. They found that Dorothy's cervix had been dialated, discolored, and abraded, and that her injury must have been very painful. They believed that gauze had been forced into Dorothy's uterus, even though no gauze was present at autopsy, because her injuries were consistent with this scenario. They also concluded that Dorothy had gone into shock and died within a few minutes of her injury. 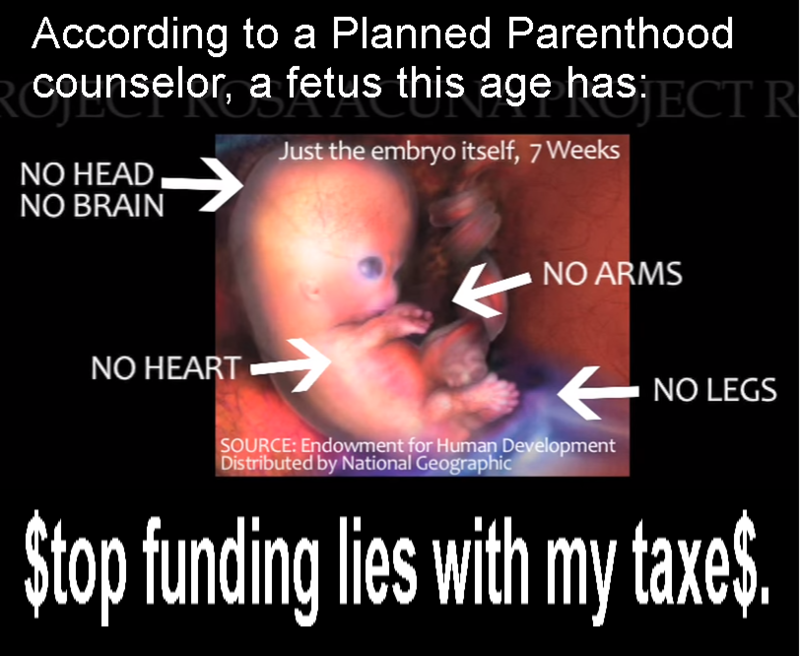 The fetus appeared to be about three to four months of gestation. Twenty-six-year-old Yvette Poteat had an abortion performed by Dr. Marion D. Dorn Jr. at The Ladies Clinic in Charleston, South Carolina on July 16, 1985. A lawsuit filed by her surviving mother and sister says that Dorn did not examine the tissue he removed from Yvette's uterus, and did not notify Yvette that the lab report showed no fetal or placental tissue in the specimen. On July 27, Yvette experienced "sudden, sharp, constant lower abdominal pains," and was taken to a hospital by her fiancee. 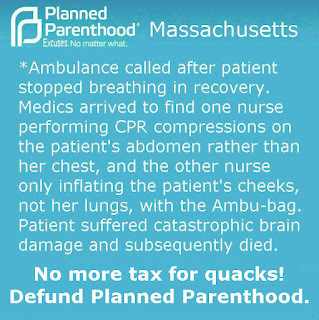 She was admitted to the emergency room, where she informed the doctors about the abortion. She was mistakenly diagnosed as having Pelvic Inflammatory Disease, was given medication, and was discharged after several hours with instructions to seek follow-up care in two days. 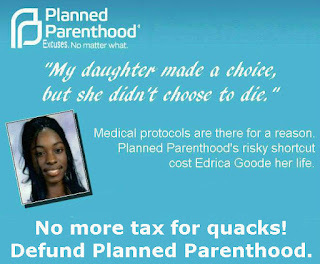 Blacks comprise about 12 percent of the US population, yet Black woman are sold roughly 25 percent of abortions. More disturbing is this fact: Black women account for at least 50 percent of known abortion deaths. This bears repeating: A young Black woman is twice as likely to be sold an abortion as a young white woman, and once she gets on the abortion table, she is at least twice as likely to suffer fatal complications as a white woman. More to the point, a Black woman coming of age in the US is at least four times more likely to die from abortion complications than a white woman coming of age. Thirty-two-year-old Mary Ann Dancy was a mother of five children ranging in age from 2 to 17 when she went to Fleming Center in North Raleigh, North Carolina for a safe and legal abortion on July 27, 1990. She was accompanied by a male friend and her sister, Carolyn. The abortion was performed by Clarence J. Washington at around 4:00 p.m. He documented no complications. "She seemed all right," Carolyn told the Raleigh News & Observer. "She walked to the car. After Mary Ann went home, she took a bath and went to bed. However, she bled heavily, and the next day, July 28, she was taken to Halifax Memorial Hospital. She died that night during emergency surgery from hemorrhage due to a lacerated cervix. Twenty-five-year-old Lizzie Cook, a domestic servant, died suddenly on July 27, 1884, in Lockport, New York.Dr. Ira T. Richmond (alias of Dr. Ira Butler) was arrested. Richmond, age 46, had come to Lockport a year earlier and opened a sanitarium, "which died for want of patronage." This might be due to the fact that, as the Chicago Inter Ocean reported on July 30, 1884, Richmond "had a dubious character among physicians." Evidently Lizzie's brother-in-law, William, had taken her to Richmond's practice, where she was examined in his presence and diagnosed with dropsy and blood poisoning. Two days later, she was put to bed at Bowen's house at about 11:00 at night, and remained there sick for nearly three weeks before her death in the afternoon of July 27. Richmond attended to her on a daily basis, sometimes visiting more than once a day, during that time. By Saturday evening, her body had already been packed in ice and taken to her parents' home. She was buried on Monday morning after a large funeral. "The secrecy in getting her body removed to her home created suspicion," so her body was exhumed that afternoon for an autopsy that revealed signs that she had died from a surgically performed abortion. Richmond was immediately arrested and charged with either first degree murder or first degree manslaughter, according to differing sources. He pleaded not guilty, insisting that Lizzie had not been pregnant when she died and had died of dropsy and blood poisoning. "The evidence is strong against him, however," said the July 30, 1884 Cincinnati Enquirer. Sentiment against Richmond was so strong there fears that he would be lynched. Richmond was convicted of first degree manslaughter on October 21, 1884. I have so far been unable to determine if his Canadian wife's testimony about his doings there was admitted into evidence. The jury recommended mercy. After requesting and being denied a new trial, Richmond/Butler was sentenced to six years of hard labor at Auburn Prison. On July 27, 1920, 38-year-old homemaker Adelaide Fowler died at her Chicago home after a criminal abortion. Dr. Barney Welty was arrested, and indicted by a Grand Jury on August 1 but, for reasons I have been unable to determine, the case never went to trial. Gina Gardner, a 17-year-old cheerleader at Gulf Comprehensive High School in West Pasco, Florida went into convulsions almost immediately after Dr. James R. Lund administered the local anesthetic Lidocaine. That was the fourth time he administered the drug to Gina while she was still under the effects of an initial dose of Demerol for her abortion. Gina was hospitalized but died the following day, July 27, 1974. Gina's mother, Patricia Kennedy, had to wrangle to even bring the case to court because of a recently-passed Florida law regarding medical malpractice cases. Eighteen-year-old Yvonne Mesteth was the second of two patients to die of infection after safe and legal abortions by South Dakota abortionist Benjamin Munson. (The other was Linda Padfield.) Yvonne was in the second trimester of her pregnancy when Munson performed the abortion in his Rapid City clinic. She developed an infection, kidney failure, and adult respiratory distress syndrome. She died on July 27, 1985. Despite having already killed Linda Padfield, Munson was welcomed into the National Abortion Federation. On July 16, 1929, Dr. Sven Windrow performed an abortion on 19-year-old Emmy Anderson at a Chicago location. Emmy died on July 24. Dr. Windrow was held by the coroner on July 25. Jacque Lagrave, age 67, was held as an accessory. Windrow was indicted February 6, 1929 for felony murder. Emmy, a native of Colic, Sweden, worked as a maid. Her abortion was typical of illegal abortions in that it was performed by a physician. Mrs. Sophie Layton of Raleigh, North Carolina, was sentenced to five years for the abortion death of 20-year-old Miss Celia Roberts of Granville County. Celia had gone to Raleigh in July of 1931 for an abortion, which was perpetrated on July 22. She was taken to a hospital in Oxford, where she died on July 24 after naming Layton as her abortionist. A Justice of the Peace, I. E. Harris, was arrested "on charges of advising and procuring the operation." He turned state's evidence and identified Layton as the abortionist -- though on her deathbed Celia had sworn that Harris had nothing to do with her situation. Erika Peterson, age 28, was admitted to Scripps Memorial Hospital in La Jolla, California on July 11, 1961, due to trouble breathing. She was diagnosed with pneumonia and placed in a tank respirator. Erika was at that time in the first trimester of pregnancy. Her physicians made the decision to abort her child as soon as she was well enough to undergo the abortion. 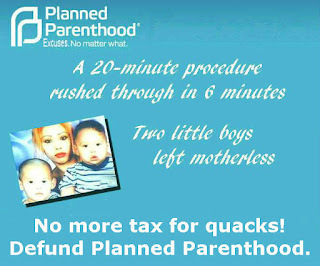 Abortion was, at that time, legal only to try to save the life of the mother. On July 21, Erika's condition had improved, and her husband signed the consent form for the abortion, which was scheduled to take place two days later. The abortion was started as scheduled on July 23. Erika went into cardiac arrest during the procedure and was unable to be resuscitated. The abortion that was intended to save her life ended her life instead. Very little is on record about the July 22, 1925 death of 17-year-old Gertrude Wynants. According to the New York Times, Gertrude died from a criminal abortion. Mrs. Margaret Shott Higgens, age 25, was indicted for manslaughter in Gertrude's death. On July 22, 1974, twenty-two-year-old Carole Wingo died of a Demerol over dose during a safe and legal abortion at Mercy General Hospital in Detroit. Despite the name, Mercy was not a general hospital. It was an abortion hospital. It was also a hospital in big trouble even before Carole's death. The Michigan Public Department of Health had cited Mercy for 43 violations of nursing standards and 12 violations of physical plant standards in October of 1973, and had withheld their license. Among the violations were that the operating room lacked a cardiac monitor, a resuscitator, and a defibrillator. Carole's mother filed suit against the facility and doctors David Northcross, Chuk Nwokedi, and Robert Wolf. On July 21, 1886, Mrs. Fred Winkleman was found dead in her Cincinnati home from a botched abortion. The last survivor of the Miller family, she had a small fortune of $13,000 which she had given over to Fred at their marriage four months earlier. Winkleman was arrested and freed on $5,000 bail. Police believed that Fred, a 26-year-old druggist, had intended his wife's death in order to have free use of the money. The scant news coverage seems to indicate that Fred had perpetrated the abortion himself. A headline in the Louisville (KY) Courier-Journal, "Poisoned His Bride," is the only indication of the means of the abortion. I've also been unable to determine whether he was ever prosecuted. On July 21, 1907, 21-year-old homemaker Madeline Paffrath died at German American Hospital in Chicago. Before her death she took an oath with her hand on the Bible, vowing never to divulge the names of the two women who had perpetrated an abortion on her. Madeline's husband, John W. Paffrath, did not have so charitable a view of the women who had brought about his wife's death. He named Agnes Schustzner (Harcone Scheutner, according to the Homicide in Chicago Interactive Database) as one of the two perpetrators. Other witnesses, saying that Schustzner was drunk at the time of the abortion, named Alice Gustafson as the first to attempt an abortion on Madeline. The coroner's jury held the two above-named midwives, along with midwife Alice Rastone. Late in the evening of July 21, 1916, 21-year-old Roy Hinterliter showed up at the sanitarium in Olney, Illinois with a young woman, Miss Elizabeth Radcliffe, slumped over onto his lap in his buggy. Elizabeth, age 17, was immediately pronounced dead. It was eventually learned that she had died at a rural trysting spot near a bridge, where investigators found signs of a struggle. Imprints of Elizabeth's hands and Hinterliter's feet were found in the sand. After Elizabeth had died, Hinterliter had loaded her body into the buggy and ridden into town with her. An autopsy confirmed pregnancy, but showed no external signs of violence and all her reproductive organs appeared normal. However, upon cutting open her heart, air escaped. One news report stated that the doctor "found the heart so filled with air that it made a hissing like a plugged rubber ball when a pin was stuck into it." There was so much air in Elizabeth's brain that it floated when placed in water. There were no lung lesions to explain the air in Elizabeth's bloodstream. Two boys were spotted in town trying to hide a package. They were arrested, and told police that Hinterliter had asked them to get rid of the contents of the package -- a catheter with the plunger missing. They said that they had been with Hinterliter in the drug store when he'd bought it. He had told them that a doctor had told him how to use it. It eventually came out that Hinterliter had taken out the plunger and instead blown into the catheter -- with which he had accidentally punctured a vein. Thus he blew a quantity of air directly into Elizabeth's blood stream. She would have died almost instantly. On July 21, 1923, 28-year-old Mrs. Mary Federowicz died at Chicago's St. Mary's Hospital from complications performed that day. Mrs. Anna Mithnewicz, whose profession was not given, was identified by the coroner as the person responsible, but no arrest was made. It's likely that Mary had availed herself of one of the many physicians or midwives who practiced abortion in Chicago at the time. 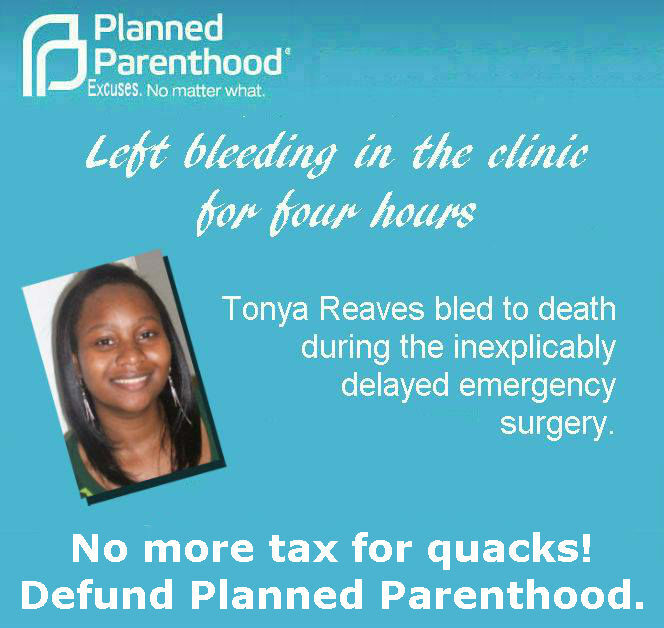 Tonya Reaves, age 24, was rushed to Northwest Memorial Hospital in Chicago and pronounced dead at 11:20 p.m. on Friday, July 21, 2012. She was taken there from the Planned Parenthood facility at 18 S. Michigan Avenue, which advertises abortions up to 18 weeks. Tonya had undergone a D&E abortion, which indicates that she was likely between 14 and 18 weeks pregnant, although a misdiagnosis of fetal age might be the underlying cause of the injury. The Centers for Disease Control published back in 1983, "Deaths from hemorrhage associated with legal induced abortion should not occur." In every hemorrhage death they investigated, "Lack of adequate postoperative monitoring or treatment of hemorrhagic shock" was a factor. Tonya's death was no exception. Her abortion was performed at 11:00 a.m., but she remained at the facility for hours until finally an ambulance was called, taking her to the hospital at 4:30 p.m. At 5:30 p.m., doctors performed an ultrasound, followed by another D&E procedure, though it is unclear whether they were removing retained tissue or aborting a second fetus. Tonya had continued pain and bleeding, so a second ultrasound was performed, revealing a uterine perforation. 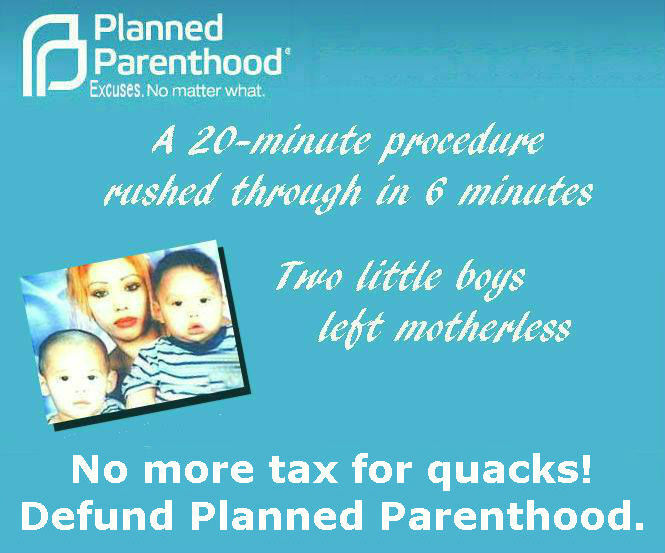 It is unclear whether this was a perforation from the initial D&E at Planned Parenthood or from the follow-up at the hospital. 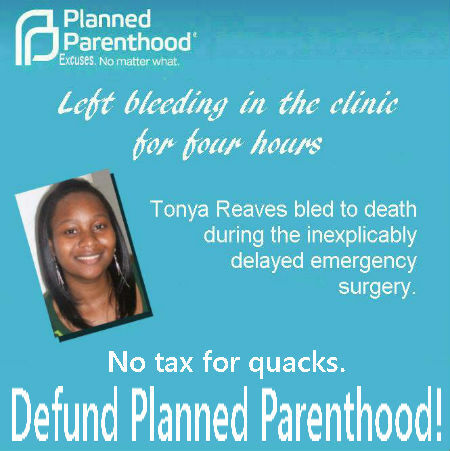 Regardless of the source of the perforation, Tonya was returned to surgery, where “an uncontrollable bleed was discovered.” She was pronounced dead at 11:20 p.m. The CDC's article noted, "Deaths from hemorrhage can be eliminated by preventing uterine trauma during abortion and by rapidly diagnosing and treating hemorrhage if it occurs." 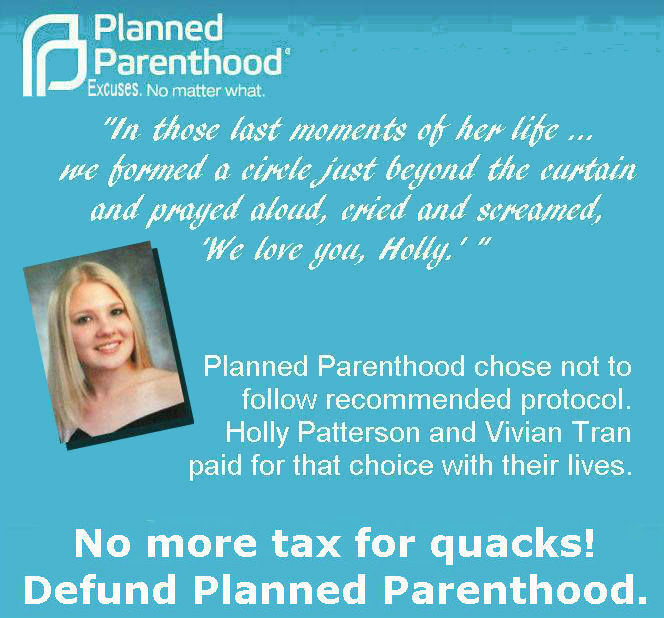 Planned Parenthood, for some reason, failed to prevent the uterine trauma and failed to rapidly diagnose and treat Tonya's hemorrhage. The abortion giant has a lot of explaining to do. On July 20, 1913, Mrs. Emma Chandler, age 20, died suddenly from complications of a criminal abortion perpetrated the previous day. In a deathbed statement, she named Dr. J.A. Richmond as her abortionist. Her husband, Ora, a Denver grocery clerk, notified the police immediately after Emma's death. An investigation revealed that a friend had accompanied Emma to Richmond's practice after finishing work at the offices of a lumber company. After the abortion she was driven home. Her husband returned from work and found Emma very weak. Overnight she became more and more ill. Around noon she realized that she was dying and sent for a neighbor, who she begged to pray for her. The neighbor remained by Emma's bedside, knitting and praying. Some time in the afternoon Emma confessed about the abortion to her husband, saying she'd arranged it because she didn't want another child, feeling that her 3-year-old son was enough. Mr. Chandler sent for a doctor who lived across the street, but there was nothing he could do for her. Barbara Riley was 23 years old when she chose abortion. She had a history of sickle cell anemia and three previous term pregnancies -- two live births and a stillborn child. She was in her first trimester of pregnancy when she underwent the abortion on July 11, 1970 at Harlem Hospital. The abortion had been recommended by hospital staff because Barbara had a history of sickle cell disease. The abortion would probably have been recommended as beneficial to Barbara's health, under New York's old abortion law; the new law just meant that they didn't need to leally justify going ahead with it. But instead of improving, Barbara's health deteriorated. Her blood started to break down. Nine days after the abortion, July 20, Barbara died. She was the third abortion-related death reported in New York State in the 23 days that abortion had been legal in New York. The other women I've identified as dying from sickle cell crisis triggered by an abortion are Margaret Davis and Betty Hines. The deaths on this list are disproportionately in 1971 because most are taken from a report published by the New York health department covering the first 24 months of legalized abortion in New York, which included that latter half of 1970 and the beginning of 1972. The first two deaths commemorated today were of women who took advantage of their states repealing anti-abortion laws prior to the Roe vs. Wade Supreme Court decision which struck down every abortion law in the nation in 1973. The third was of a woman who took advantage of Roe. Carmen Rodriguez was 31 years old when she underwent a 14-week saline abortion at Lincoln Hospital in New York City. A saline abortion was performed by injecting a strong, sterile salt solution into the amniotic fluid. 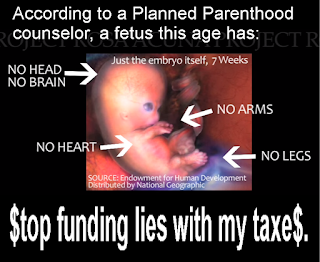 The fetus would then swallow and inhale the fluid, causing internal bleeding. After the fetus died, the woman would go into labor. Carmen had a history of rheumatic heart disease and two previous live births. After the saline was injected, it got into Carmen's blood stream. This caused acute pulmonary edema -- fluid accumulation in the lungs -- and Carmen went into a coma from which she never recovered. She died on July 19, 1970, leaving behind a husband along with her children. After Carmen's death, a militant Puerto Rican group, The Young Lords, swung into action. They pointed out that doctors at Lincoln Hospital knew that Carmen had heart problems and failed to take proper precautions -- a very valid claim. After all, saline abortions had long been known to be risky to the woman's heart. The bulk of these deaths were published in a report by the New York Health Department covering the period from June of 1970 through June of 1972. Betty Hines was 21 years old when she was checked into Doctors Hospital in California for a safe, legal abortion to be performed by Dr. A. Mitchell on July 19, 1971. Mitchell had been her physician for three or four years. Betty was eight weeks pregnant. There didn't seem to be anything wrong during the procedure. Betty was transferred to the recovery room, when she suddenly went into cardio-respiratory arrest. Mitchell theorized that perhaps Betty had died because of a bad vial of Inovar, because the next patient who was injected from that vial also went into cardiac arrest but was successfully resuscitated. Betty's autopsy, however, found no trace of Inovar in her system. A toxicology check was also done on the vial of medication, and found nothing wrong with the Inovar. Betty's death was attributed to massive intravascular sickling due to underlying sickle cell disorder. 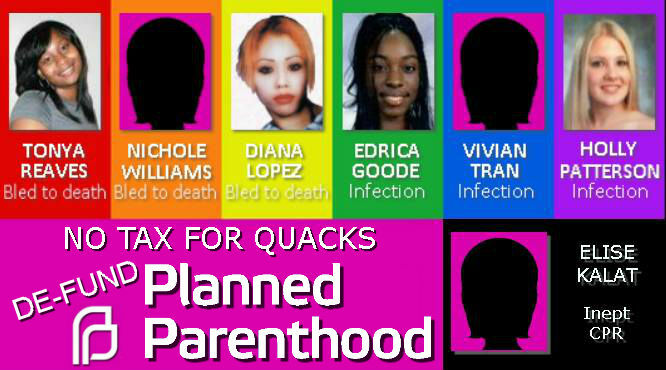 Other women who died of sickle cell crisis triggered by abortion include Margaret Davis and Barbara Hoppert. On July 18, 1911, 24-year-old homemaker Ragna Beck died in Chicago from an abortion performed on May 9th by Mrs. C.M. Anderson. Anderson was held by the Coroner and arrested on July 19, but the case was stricken off during trial. On July 18, 1918, 18-year-old Margaret Smith, an unmarried clerk, died at Allegheny General Hospital in Pittsburgh. 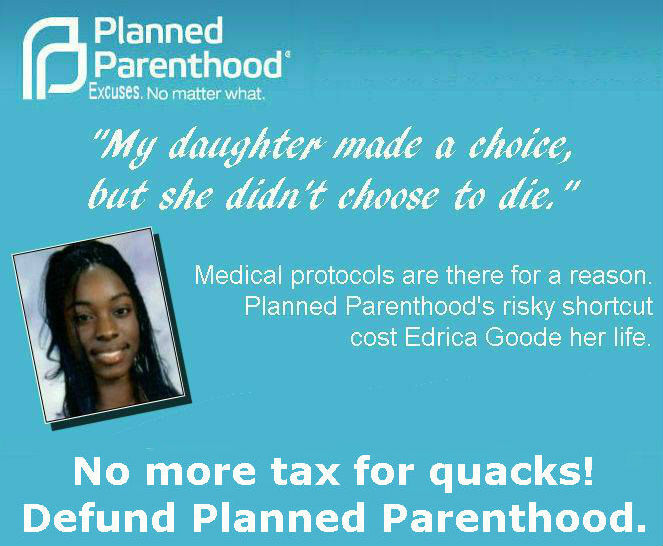 The coroner determined that she had died of septicemia from a self-induced abortion. Dr. C. A. Blanchard of Augusta, Georgia, was charged in July 18, 1918 abortion death of Berter Mae Parrish of Wrens, Georgia. Blanchard said that Berter Mae had already been in serious condition when she was brought to his practice. He said he waited a day before treating her for her obvious abortion complications because he didn't want to make any mistakes in treating her. It was the next day, he said, that he saw that an operation to finish the abortion was necessary to save her life. Blanchard said that Berter Mae then was lost to follow-up, though he made many efforts to find her to provide ongoing care. He said that the first he'd known of her death was when police came to arrest him. I've been unable to determine any outcome of the case. Geneva Colton, age 21, a mother of two employed as a Cochran, GA meter maid, underwent an abortion at Northside Family Planning Service in Atlanta, Georgia, on July 18, 1979. On the drive back home she was in pain, but she figured that this was just the cramping the clinic had told her to expect. At 8:30 that evening, Geneva was admitted to a hospital, with no vital signs detected. 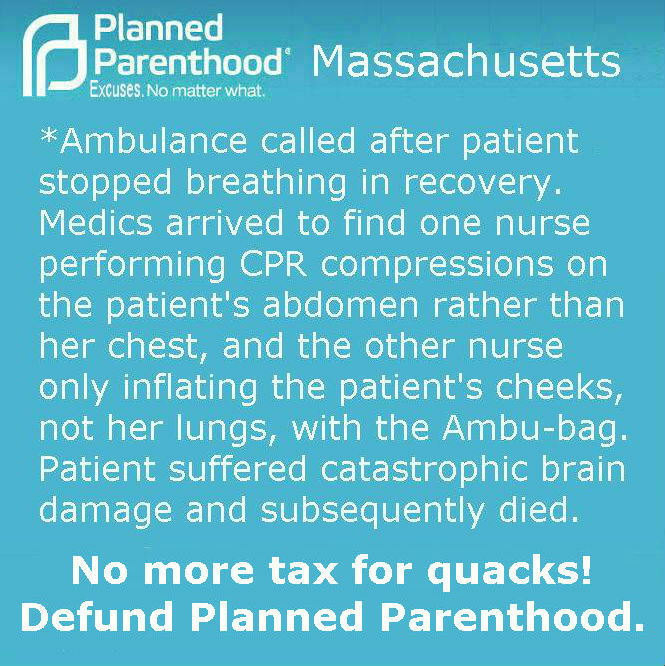 Doctors attempted to resuscitate her, to no avail. She was pronounced dead at 9:30 p.m., six hours after being discharged from the clinic. The autopsy found that Geneva's uterus had been perforated. She had bled to death. At about 9 a.m. on July 17, 1901, 23-year-old widow Juliette "Julia" O'Brien, an immigrant from France, died at 3187 Carson Street in Pittsburgh, from complications of an illegal abortion which Julia had told her family had been perpetrated by Dr. Michael A. Arnholt. At the coroner's inquest, Julia's mother, through a French interpreter, added that on or around July 12, "My daughter told me that Dr. Arnholt had abused her several times when she was in his office." Julia's sister-in-law, Helen Maurice, said that she'd gone to Arnholt's office with Julia. Julia, she said, went back into another area with Arnholt and was there for more than a hour. Julia was pale and weak when she emerged, barely able to walk. Arnolt went to the family home on July 15, cussing up a storm and berating Julia for telling her family about the abortion. Two other physicians -- Dr. W. H. McCombs and Dr. George P. Rossman, were called in to attend to help attend Julia in her illness. 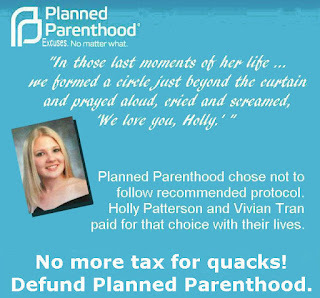 Her mother had told both of them about the abortion, but they failed to report the abortion to the Coroner and were first censured then arrested. Julia's brother and sister had been planning to file suit and expose Arnholt's abortion practice if he did not pay them $5000 in damages to cover the cost of caring for the 21-month-old child the abortion had left an orphan. He reportedly begged them on his knees not to subject him to the ignominy of being exposed as an abortionist. Putting him behind bars, he said, would not bring their sister back. Julia's sister said that a distraught Arnholt had torn at his hair and told them, "I know I did wrong. I know I did wrong in causing this poor girl to die." He offered to pay all of the expenses related to Julia's death and to pay $3 per week for the maintenance of Julia's toddler until the child reached the age of 21. Julia's siblings told Arnholt that they wanted the $5,000 up front instead, and decided to give him time to think about it. they agreed to meet with him on July 23 to discuss the situation. However, several hours before the scheduled meeting Arnholt committed suicide in his office by shooting himself through the heart. On July 17, 1917, 34-year-old nurse Frances Reinhardt died at Chicago's County Hospital from septic blood poisoning caused by an abortion which police said had been perpetrated by Dr. A. E. Thomas. However, further investigation revealed that a non-physician identified as W. Thomas had appropriated the name from a retired doctor. W. Thomas had been able to practice medicine without a license for several years until his ruse was exposed after his arrest for Frances' death. The real Dr. A. E. Thomas's brother suspected that the arrested "doctor" had stolen his identity and reported this to the board of health. The Chicago Daily Tribune notes, "Instead of being a pompous, suave, well fed and dressed charlatan like other quacks who have fallen into the meshes of the law recently, he turned out to be a shaking, wretched, and miserable victim of morphine, whose condition when he was captured bordered on hysteria." Upon arrest, Thomas admitted the ruse to police. Though he was held by the Coroner for Frances' death, the charges were dropped for a reason I have been unable to determine. I have also found no evidence that anybody else was arrested for the crime. On July 17, 1940, Goldie Crow, 28-year-old wife of Oklahoma City milk truck driver Albert Crow, died of peritonitis from a criminal abortion performed July 2 by Otto C. Lucy. 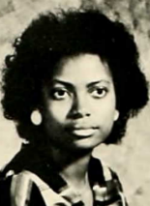 Lucy was a 37-year-old psychologist and teacher, had previously been dean of men at Central State College. He performed the fatal abortion on Goldie while he was out on bail pending trial for the abortion death of Mary Ellen Legge. Though he was not a physician, Lucy had a listing in the telephone book reading "Dr. Otto C. Lucy". Albert admitted that he had purchased some abortifacients, which had not had their desired effect. He went to Lucy's apartment in June, thinking that Lucy was a doctor. He told him that Goldie was pregnant and that they didn't want the child. He also told Lucy that he had no money, and Lucy said that he couldn't do anything for him. But evidently either Albert found the money or he worked out some arrangement with Lucy, because on July 2, Lucy went to the Crow home at dusk and performed an abortion on Goldie. At some point that evening he called a nurse, Mrs. Ruth Bowen, to assist him. Some time afterward he returned to check on Goldie, found her condition improved, and recommended that she drink fruit juices and plenty of water. During the investigation into Goldie's abortion, police found surgical instruments wrapped in a towel and bloody newspaper, stuffed into a garbage can in the basement of the apartment building where Lucy lived. He was convicted of first degree manslaughter and sentenced to 25 years in the state penitentiary for Goldie's death. Emma Morris, age 28 or 29, of Jacksonville, Illinois, died at 3:00 the morning of July 16, 1903. An investigation found that she had tried a do-it-yourself abortion with an instrument given to her by a friend, Belle Osborne. The abortion had caused septic peritonitis that took Emma's life. On July 16, 1913, 24-year-old Catherine Sartelopoulos died in Chicago, at the scene of an abortion perpetrated that day by Dr. Paul Ackerman. Ackerman was arrested and held by the Coroner for murder on August 8. Spiros Glambedakos was arrested as an accessory. 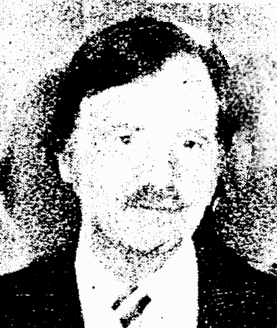 Dr. Jacques Moses was also arrested in connection with the case. Ackerman was indicted by a Grand Jury on August 15, but the case never went to trial. Little information is available about the death of 21-year-old Linda Gayle Lovelace of Tennessee. According to her death certificate, she underwent a safe and abortion on June 14, 1980. The death certificate does not say where, or who performed the abortion. It does say, though, that her uterus was perforated. As a result, Linda developed sepsis and went into shock. She died on July 16, 1980. On July 14, 1921, 23-year-old homemaker Edna May Rohner died at Illinois Masonic Hospital in Chicago from an abortion reportedly perpetrated by Dr. Otto Klemmick. He was held by the coroner and tried, but acquitted on June 12, 1923. The source material is scanty, so it's unclear how much evidence there was against Klemick or why he was acquitted. Whether Klemmick was truly innocent, or whether he simply managed to escape punishment, Edna and her baby got no justice. On July 12, 1889, 24-year-old Annie Doran, from Traverse City, Michigan, was died suddenly in Chicago from an illegal abortion perhaps perpetrated that day. The coroner's inquest concluded that she had bled to death from an abortion, possibly self-induced. The crime scene was described in the Homicide in Chicago database as a "Medical facility", with the additional notes, "Midwife, Abortion place" and "Clinic (e.g. abortion facility)". News coverage, however, indicated that a physician, Dr. McMullen, was believed to have provided Annie with abortifacients. However, McMullen indicated that he was in New York attending a medical conference at the time. Annie's brother-in-law, a former county sheriff, pushed for an investigation. Annie had come to Chicago about two weeks earlier, and had asked her sister to accompany her to visit friends in Cadillac, Michigan. They stayed for three days, Annie's sister said. She'd been unaware that her sister had been pregnant. Mrs. Hansen, who ran the boarding house where Annie died, also said that she'd known nothing about Annie being pregnant. Druggist John A. Sims of Stigler, Oklahoma, was charged in the abortion murder of 18- or 20-year-old telephone operator Grace Malone in 1918. Simms was believed to be responsible for Grace's pregnancy as well as for arranging the abortion, though not present when it was perpetrated on July 11 at the home of her sister, Mrs. Cynthia Vasser. Cynthia stated that she had sterilized the instruments in question by boiling them in water. She didn't know what they were called, but said that one resembled scissors without blades. She said that Dr. W. W. Aiken of Muskogee perpetrated the abortion, assisted by another physician that neither she nor another witness were able to positively identify. The witnesses could, however, identify Dr. L. D. Bruton as a physician that Aiken called in at some point to help him in providing care to Grace. Grace died there the following day, July 12. The original death certificate attributed her death to "heart failure," but an autopsy found internal lacerations. Aiken and Bruton were charged with murder in Grace's death, as was Sims, after Grace's father, O. E. Malone, filed a complaint against them. Both Grace's father and sister said that Grace had originally gone to Dr. T. B. Turner of Stigler, OK to ask him to perform an abortion. Only after he refused did she go to Muskogee and arrange for Aiken to do the abortion. During pre-trial proceedings, Grace's father ran out of the courtroom shouting that somebody needed to be punished for his daughter's death. He was taken to the county attorney's office, where he was able to regain his composure. Sims died, reportedly from "nervous collapse," before his case went to trial. Aiken and Bruton had also been charged with murder in Grace's death, but charges were dropped due to insufficient evidence to secure a conviction after Sims' death. Pearl Schwier, age 42, was 20 weeks pregnant when she sought a safe, legal abortion under New York state's new law, at St. Luke's hospital in New York City. About 45 minutes into the procedure, Pearl had a reaction to the anesthesia and never regained consciousness, dying on July 12, leaving her husband, John Schwier, a widower. Pearl is "Judy" from the Life Dynamics "Blackmun Wall." 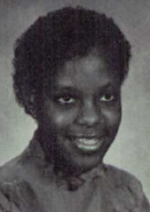 In 1978, Twenty-seven-year-old Gail Mazo went to Mt. 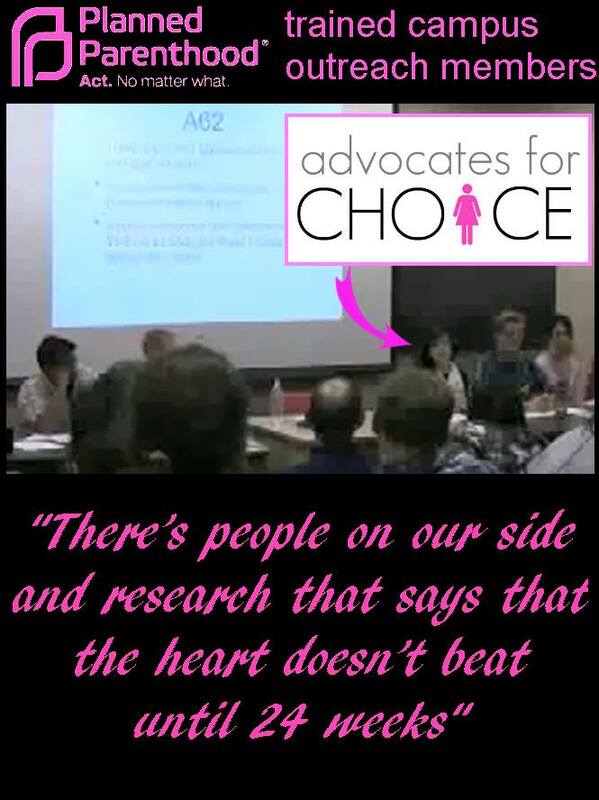 Sinai in New York for an abortion, because she had ulcerative colitis. While she was under general anesthesia for the abortion, Gail began to vomit, and breathed the vomit into her lungs. The material in her lungs caused complications that killed Gail on July 12. Gail's survivors filed suit against the anesthesiologist for failure to recognize that Gail was a high-risk patient and to treat her accordingly. The family and the doctor eventually settled out of court for $800,000.